At 68° north, inside the Arctic Circle in North Norway, fishing has been the main source of income for the people for centuries. Nowadays in summer time Lofoten Islands have become a popular tourist destination, but during the winter it is still the fishermen that dictate the pace of life. 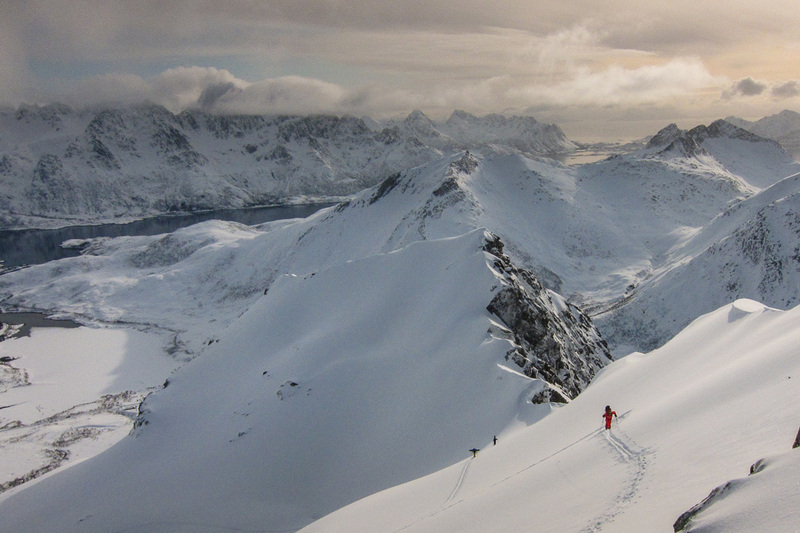 As a ski touring destination Lofoten is still a well-kept secret, despite its beauty and great snow. Having the heart of a ski mountaineer one cannot resist falling in love with the skiing in Lofoten mountains. The contrast of peaceful ocean views and steep mountains raising straight from the sea makes Lofoten islands a place of striking beauty. It’s a vast playground for great and wild mountain adventures. The light between February and March is unique, giving you the feeling of skiing in a permanent sunrise and sunset atmosphere. This is also the perfect time of the year to watch the northen lights. Sunshine one minute, snow storm the next – that’s the normal winter weather in Lofoten. These swift changes provide you with magnificent light conditions, and are truly inspiring for those who like to take photographs. It’s certainly not the place to forget your camara. The mountains are up to 1000m high and offer a large variety of terrain from the steep coloir to the open powder slope, you will find it all. With snow sticking firmly also on the most steep faces, the sun standing low on the horizon and the views over the ocean in all directions, Lofoten mountains certainly is a unique setting for ski touring. Program: On Sunday evening we pick you up from the airport in Harstad and drive to Svolvaer. The drive takes about 2 hours. From Monday until Saturday we have 6 days of skiing and exploring the mountains on Lofoten. Sunday morning we drive you back to Harstad. Accomodation: In traditional style, but newly renovated fischerman´s cabins right on the shore. You can catch some fish form the bedroom window. 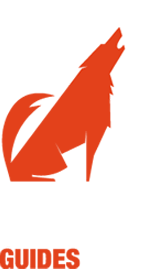 Group size: To provide a maximum of safety and to be able to ski interesting descents there will be a maximum of 7 persons per guide for beginner level skiers, and max 5 persons per guide for advanced level skiers.